Allergies can make daily life miserable for Pinehurst, North Carolina residents. 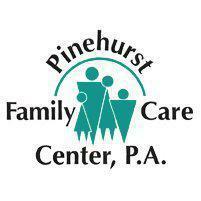 The doctors at Pinehurst Family Care Center, P.A. offer in-house allergy testing and immunotherapy that can provide relief at last. There are a nearly endless number of allergies. People may have food allergies, skin allergies, dust allergies, insect sting allergies, drug allergies, mold allergies, latex allergies, and many other types of allergies today. There are many different possible allergy symptoms. They can vary depending on the specific allergen and type of allergy. People with allergies may suffer from congestion, cough, contact dermatitis, fatigue, hives, skin swelling, itchiness, watery eyes, sneezing, runny nose, difficulty breathing, tightness in the chest, and more. When do Patients Need Allergy Tests? Allergy testing is necessary when a patient has continual problems with allergies, especially if the allergies are interfering with their daily life. Identifying the exact allergy through allergy testing can greatly improve the chances of the allergy being effectively treated. A prick test is one type of allergy skin test. In this test, the doctor will put minuscule amounts of the most common allergens on the skin and then prick the skin lightly with a needle to expose the body to the allergen. In intradermal testing, a small quantity of a suspected allergen is injected into the skin. With both types of skin tests, the patient will usually show a reaction within 20 minutes if they are allergic to the substances. Allergy blood tests involve taking blood samples, introducing allergens, and evaluating the blood's reaction to those allergens. Generally, skin tests are more sensitive than blood tests, so blood tests may be reserved for people who can't tolerate skin testing. What is an Allergy Patch Test? In allergy blood tests, a patch or series of patches that are treated with possible allergens are applied to the skin. The allergy patch test is generally used to test for skin allergies. Common skin allergens to test for include latex, hair dye, and fragrances. Allergy treatment is individualized. Avoidance of the allergens is always ideal, but many people will also need allergy medications or allergy shots to successfully live allergy free.